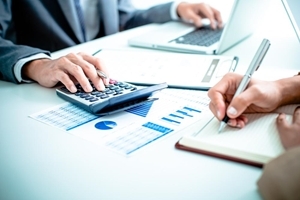 Many business owners with fewer than five employees are lumped with duties beyond generating activity and profit, including human resourcing and payroll, according to the NSW Small Business Commissioner. It’s not an ideal situation for people who would rather be growing than bookkeeping. In the case of payroll, getting it wrong, or relying solely on past experience is a real risk for small business owners. At DBS Accountants, we’ve outlined some things you may not know about managing payroll and why you might want to consider enlisting the help of some trusted financial assistance. Forgetting the hidden side of payroll is a common misstep for many small business owners. On the surface, payroll seems simple. However, as DBS Accountants founder and CPA Rajeev Dixit points out, there’s more to it than simply wages. “On-costs can be upfront things like super or tax, or they can be hidden – things like accumulating annual leave, accumulating sick leave and accumulating long service leave,” he said. Forgetting the hidden side of payroll is a common misstep for many small business owners, which can expose companies to unnecessary risk. Getting payroll right is an important part of small business. Accounting practices, such as payroll, are never a fixed science, says managing director of the Australian Payroll Association Tracy Angwin speaking to online publication SmartCompany. “Payroll legislation, regulations and best practice are a moving target and continuous improvement needs to be high on the agenda of every payroll operation,” says Ms Angwin. Mr Dixit agrees. It’s not enough to simply rely on past experiences and assume things have been done correctly. This kind of excuse will hardly hold sway with the likes of Fair Works Australia. This is why Mr Dixit believes that it’s not enough to enlist the aid of an accountant whose only interest is tax returns. A business is more than any one financial aspect, and must be treated as such when proactively engaging with financial services. To find out more about how DBS Accountants can become part of your business’ success story, get in touch with our team today. Copyright © 2018 DBS Accountants. All rights reserved.